Animal Relief and Kindness (ARK) Fund is committed to providing necessary financial support for families who can’t afford the veterinary bills they need to keep their beloved pets alive. In our journey to accomplish this mission, we’ve met several others who are working really hard to improve the lives of animals and those that love them. ARKfund supports charities and organizations that work to save animals in need either through financial support for sanctuaries or helping to find loving families that want to adopt. These programs provide essential funds and services that support better welfare for animals, therapy and educational programs across the country. ARKfund proudly supports Journey’s End Animal Sanctuary in DeLand, Florida. Journey’s End accepts homeless and abused animals for life. It has lots of dogs and cats, of course, but it’s also home to pigs, sheep, horses and birds. Most of the animals, who receive loving care and all their medical needs, were unwanted before they came to Journey’s End. Many were severely abused or neglected. At Journey’s End, they have all found a permanent home. 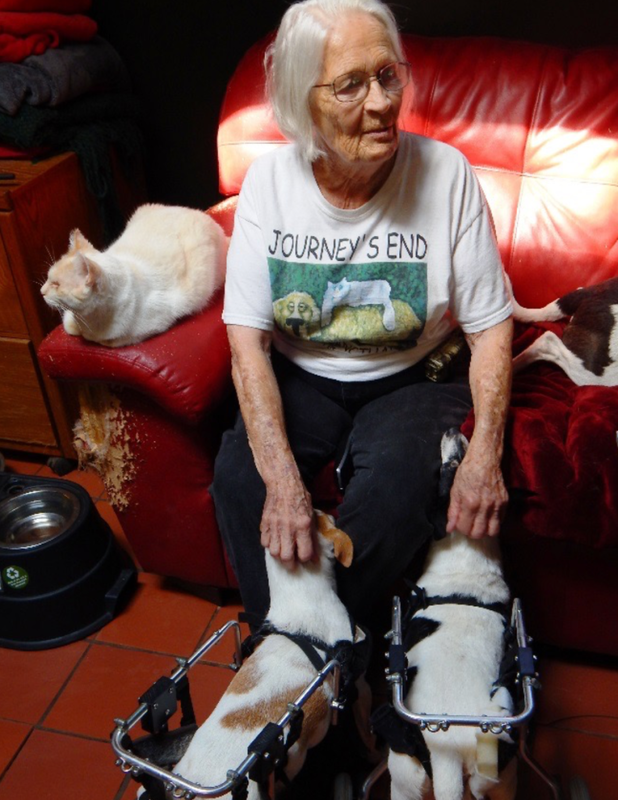 Founded by Florence Thuot and her late husband in 1974, Journey’s End has become a legendary refuge in Central Florida for animals with no viable alternatives. Florence heads up a group of volunteers and fulltime staff who keep all of animals living at Journey’s End fed and cared for in every way. Located on several acres of rural area, Journey’s End has no cages. The animals live in the same type of environment they would have in any loving home. They have plenty of room to explore and exercise. Visiting Journey’s End is one of our favorite things to do because the love and care extended to all of the animals living there is so inspirational. Our support of Journey’s End and its many animals in need is ongoing. The love given to the animals of Journey’s End by Florence and her team is unending. Thank you Florence!